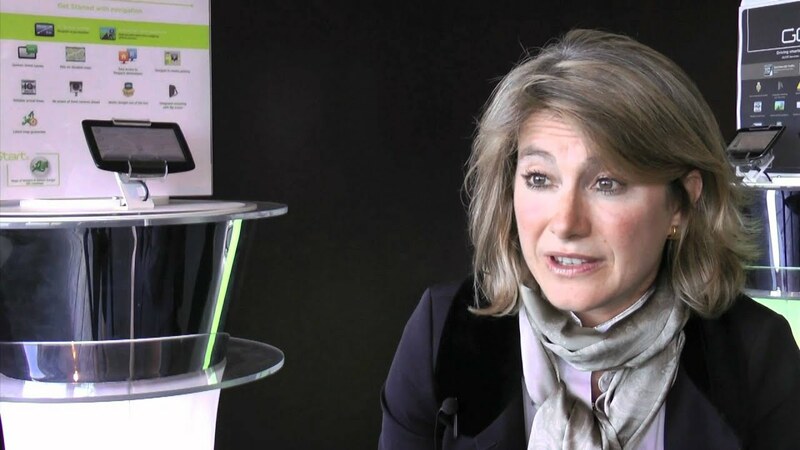 Corinne Vigreux co-founded TomTom and is the managing director of its Consumer Division. She played a leading role in growing TomTom from a small business into a global player in the consumer electronics market. She has focused on defining and driving TomTom’s global sales, brand and product strategies. Earlier in her career Corinne worked for Psion Plc, where she set up Psion’s international distribution network. Corinne graduated in France with a BA in international Business from ESSEC in 1987. She was made Chevalier de la Legion d’Honneur in 2012. My life experience has taught me that humility, resilience and courage are all attributes that you need to be an entrepreneur and leader. Being able to articulate a clear vision and taking people along with you is essential. Building a great team with complementary skills, who you also really enjoy working with, is incredibly important. How has your previous employment experience aided your tenure at TomTom? I was lucky enough to be given a lot of freedom in the first five years of my career working at Psion in the UK. I travelled the world establishing Psion’s international distribution network. It was a challenging role and a fantastic opportunity that pushed me outside of my comfort zone most of the time. It was at Psion that I really got a taste for adventure! I was allowed to take risks and make mistakes as long as I achieved the results, which, thankfully I did. I had a very inspiring manager, I learnt a lot and built the confidence needed to run a business. What have the highlights and challenges been during your tenure at TomTom? It is difficult to pinpoint one particular moment, as my TomTom journey has been quite a rollercoaster ride. But there have been a few very significant moments. In the early days, growing TomTom from four to 50 people and establishing a brand was really hard work, but also really great fun. The next phase of growing the business from 42 million to 1.8 billion was just sheer madness! It felt as though someone had put me on the high spin cycle of a washing machine for a very long time. The next phase of dealing with a decreasing business was challenging. We needed to find new areas of growth, keep innovating and investing, whilst controlling costs to the utmost detail. All this, while making sure teams stayed motivated with the belief we would come out of the situation stronger. And the last phase is the one we are in now, where we are launching a lot of great products again. A few of the bets we have placed are paying off. We are very fortunate that we have kept most of our very good people even through the tough times, so we can all share the same feeling of renewed excitement! 1. Bear in mind that you know your business better than anyone, so when people give you advice always try and understand what motivates them. Follow your intuition. 3. Make sure you don’t run out of cash. Planning is key, whatever idea you have, you need to be able to finance it. 4. There is nothing romantic about being an entrepreneur; it is a lot of hard work and soul searching. The greatest reward is to do something that has not been done before. But you need resilience, drive, energy and courage to make it happen. What is the most important lesson you’ve learned by starting your own business? It is lonely at the top. You need to make a lot of decisions and you can only look to yourself. The buck stops with you. I don’t think of my life in terms of a work / life balance. One of the upsides I have found of running my own business is that actually it doesn’t really feel like work at all. It is more a way of life. I think a lot of issues have do to with confidence. Have the confidence to be yourself and the confidence to trust your own instincts. I have been lucky enough to have some great managers who trusted me and gave me the space I needed to build my confidence. I admire people like Christine Lagarde and Ellen McArthur. I admire Christine Lagarde for being herself, having courage and a vision that drives everything she does. She has a huge amount of responsibilities but is still very accessible and passionate about the issues she is dealing with. And Ellen McArthur because to go around the world on your own takes immense drive and courage, which she is now using in her charitable work. Both women are humble and passionate about what they do. What do you want TomTom to accomplish in the next year? I want to keep making great products that help people in their daily lives. My biggest satisfaction and probably my biggest drive is to see the results of months of hard work becoming a product used by happy customers. Making that positive difference in people’s everyday lives, really drives me on. I want to carry on working with great people and see our employees enjoying the work they do.